Diseased and dying plants can cause infection to other plants throughout your landscape. And, old and dying limbs can fall off and hurt you or others on your property. Finally, they simply look unsightly and lower your property value. 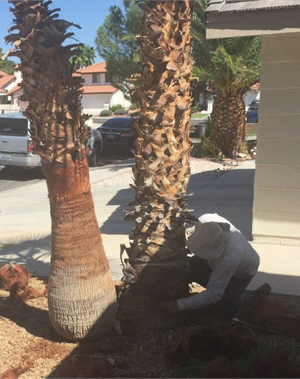 The experienced tree care professionals at Las Vegas Superior Tree Service can transform any desert area into a lush landscape. By providing the ongoing care you can keep your trees in great shape. For a free, no-obligation tree care quote, and the overall best service in the Las Vegas area, contact Las Vegas Superior Tree Service at (702) 970-1333.